ideas to an industry that has not significantly modernized." 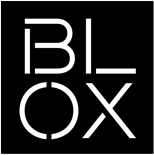 BLOX: Disrupting the construction industry with childlike simplicity and high-tech innovation. BLOX was founded by a team of architects and builders with 30 years of healthcare experience. BLOX is a single source manufacturer for medical modules – headwalls, patient room bathrooms. BLOX’s factory has a constant feedback loop that allows for proactive corrections. Before it moves down the line, BLOX does rigorous testing on the product. When sealed units arrive on the job site, they are pre-punched, pre-inspected, certified and connection-ready. BLOX can install six to eight hospital rooms in a day that would take six weeks to build in with traditional construction. BLOX clients include HealthSouth, Cardiovascular Associates, Hospital Corporation of America and Ohio Children’s Hospital. They are currently producing projects in their Bessemer plant that will be installed in hospitals in Austin, Houston, and Akron.